Lynas is bringing mergers and acquisitions (M&A) focus in rare earths to the forefront despite rejecting Wesfarmers’ $1.5 billion takeover bid at a time when the price for dysprosium has shown “seriously positive moves”. Dysprosium price has shot up more than 20 per cent while the price of terbium has also seen slight upward moves since February 2019, according to miner Northern Minerals. The emerging dysprosium producer believes this uptick points to a growing rare earth sector, though the Lynas takeover offer “does not suggest [Northern Minerals] is a takeover target”. 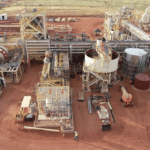 Northern Minerals also reported the commissioning of its heavy rare earths pilot plant is ongoing at the Browns Range in East Kimberley, Western Australia. It continues to assess the technical and economic feasibility of Browns Range’s full-scale operation. 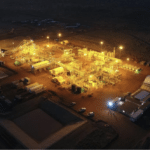 “Mechanically, there have been a few minor issues throughout the plant that have restricted the ability to operate it at full capacity,” Northern Minerals stated. “As the project is a three-year pilot plant trial, these mechanical issues are not a surprise. Northern Minerals is systematically addressing the required plant modifications, with test production expected to ramp up over the coming months. Browns Range’s trial shipment in December 2018 is awaiting final assay results from Northern Minerals’ offtake partner as part of the feedback loop of R&D testing of the pilot plant. Northern Minerals is also set to secure $20 million from its equity placement to capitalise the Browns Range project, with the funds being used for exploration and general working capital.